The U.P. has over 3000 miles of groomed Snowmobile Trails! Largest Indoor Hot Tub in the U.P. Spring time Trillium's are everywhere! Welcome to the Quality Inn and Suites of Newberry, Michigan. Our Upper Michigan hotel offers a variety of room types, great amenities and a large hot tub. Attractions and activities abound here in the beautiful Upper Peninsula of Michigan. Same friendly owners and great accommodations! Come and see our many renovations & upgrades! Newberry Michigan is your vacation wonderland with numerous attractions, natural wonders, an abundance of wildlife, historical museums, and four fantastic seasons! 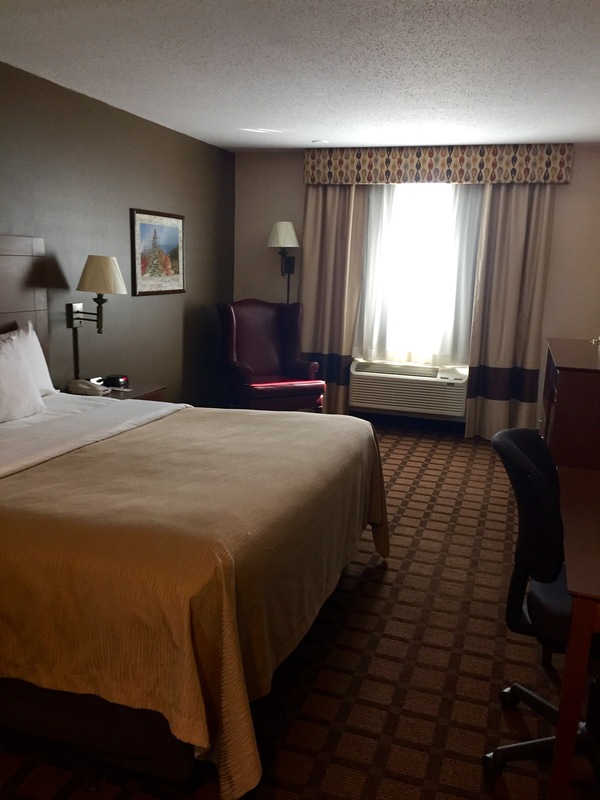 Quality Inn & Suites hotel is your Moose Capital Vacation Hub! Quality Inn & Suites Newberry is comprised of 54 rooms and two floors with both king rooms and double queen rooms. Each hotel unit comes with a number of quality in room amenities: 32" Flat Screen TVs, Direct TV with SHOWTIME, 100% Smoke Free, Coffee Maker, Iron, Ironing Board, Hair Dryers, Queen Beds, King Suites, & Honeymoon Suite. Quality Inn & Suites is now offering a special discount to bikers. Please call or email us details. Also visit www.upcruising.com for great information on Motorcycling Michigan's Upper Peninsula. Tahquamenon is special in many ways. One little known fact is that it is the second largest waterfall east of the Mississippi, with Niagara being the largest. Year-Round Activities and Attractions - Spring, summer, fall, and winter are all special seasons here in Michigan's Upper Peninsula. 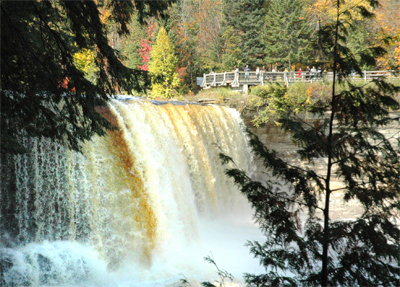 Visit our special detailed pages on the Tahquamenon Falls, Seney Wildlife Refuge, Dog Sledding, and Area Photos to help make your next vacation more exciting! If you are seeking a comfortable vacation with incredible surroundings and activities - look no further. Plan your Upper Peninsula Vacation in Newberry - the Official Moose Capital of Michigan. Visitors in spring will enjoy some of the world's most fantastic pike, walleye, and trout fishing! Enjoy the Tahquamenon River, Two Hearted River, and the Fox River. 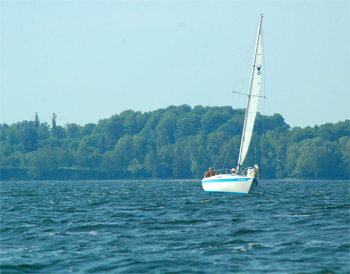 We are the land between the lakes and are centrally located between Lake Superior, Lake Michigan, Lake Huron, Big Manistique Lake, Round Lake, South Manistique Lake, Bass Lake, Hulbert lake, and Trout Lake. Activities are plentiful! People come from all around to enjoy our annual morel mushroom picking, golfing at our local 18 hole golf course (located across from Newberry's Quality Inn & Suites), and experiencing the beauty of spring flowers and nature. Our summer visitor enjoy exploring beaches, fishing, the Tahquamenon Falls Logging Museum, The Tahquamenon Falls State Park, The Soo Locks, Crisp Point Lighthouse and more! Golfing will be going full swing! Parades, festivals, boating, canoe races and more can be checked out by visiting our Calendar of Events Page! Fall is candy for the eyes! Enjoy hues of reds, burnt umbers, yellows, and oranges - its truly that beautiful! Expect only the best in Newberry Snowmobiling, Cross-Country Skiing, Dog Sledding, Snowmobile Racing, Down-Hill Skiing, Ice Fishing and More! It's a wonderland of events and activities. Explore what Newberry Michigan has to offer. Our website contains a wealth of Newberry information: attractions, maps, special packages, snowmobiling, snowmobile rentals, snowmobile trail report, tour bus information, Newberry Lodging, and ATV & ORV Info. We thank you for visiting www.newberrymichigan.net.